If you follow me on Instagram, you might have noticed: I escaped the German cold and travelled to Lisbon. Not only the beautiful sun but the town, its people and the general atmosphere immediately caught me. I could just stroll around Lisbon all day, discover new places and just end up somewhere random. However, I’d probably miss all sorts of sights and places because Lisbon has a lot in store. So if I’ve awakened your Wanderlust or you’re simply curious, I’ll tell you about my favourite spots. As a person that hadn’t ever been to Lisbon, I didn’t want to miss its rather “touristy” sights. 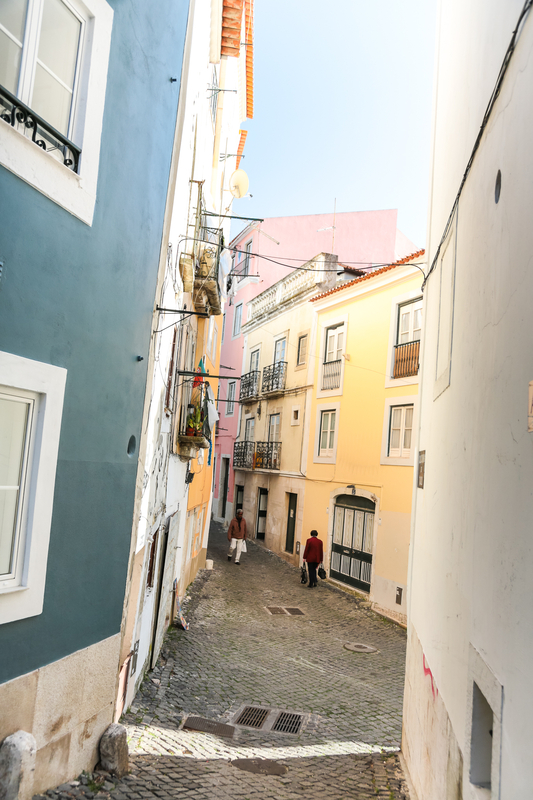 We were lucky enough to spend a few days of our stay in Alfama, a beautiful part of Lisbon that is characterised through its old houses and narrow alleys. 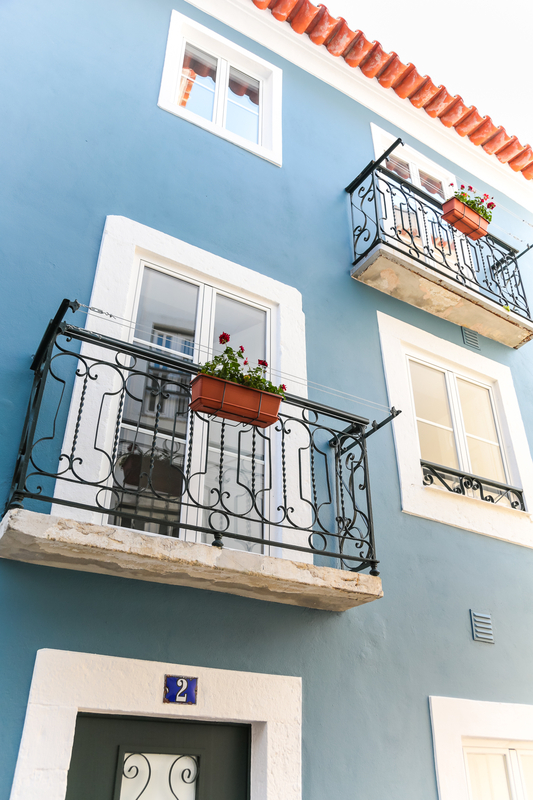 Alfama is the oldest part of Lisbon and features an old fort, several old and truly impressive churches and a beautiful lookout tower that enables you to have an outlook over the rooftops of Alfama and the Tejo, the river that floats through Lisbon. Due to the district’s architecture (namely the alleys), it’s best discovered by foot. 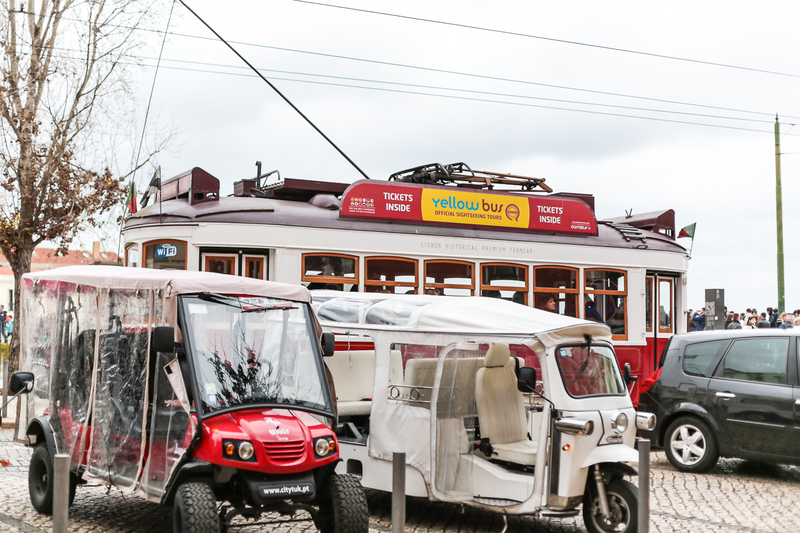 However, if you feel like taking a break and discovering Lisbon’s most popular quarters without the walking, I can recommend a ride on the Tram 28. 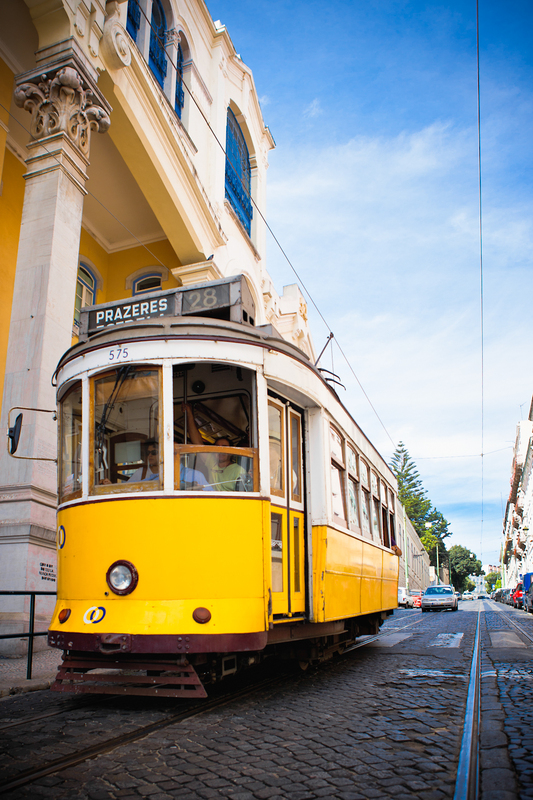 The Tram 28 is an old streetcar that connects the districts of Graca, Alfama, Baixa and Estrela. Whilst enjoying the ride, you are seated in an original waggon from the 1930s that is completely made of wood on the inside. The tram rides every eleven minutes, so if anything catches your eye you’re free to hop off and catch a later train if you feel like you’ve seen enough. 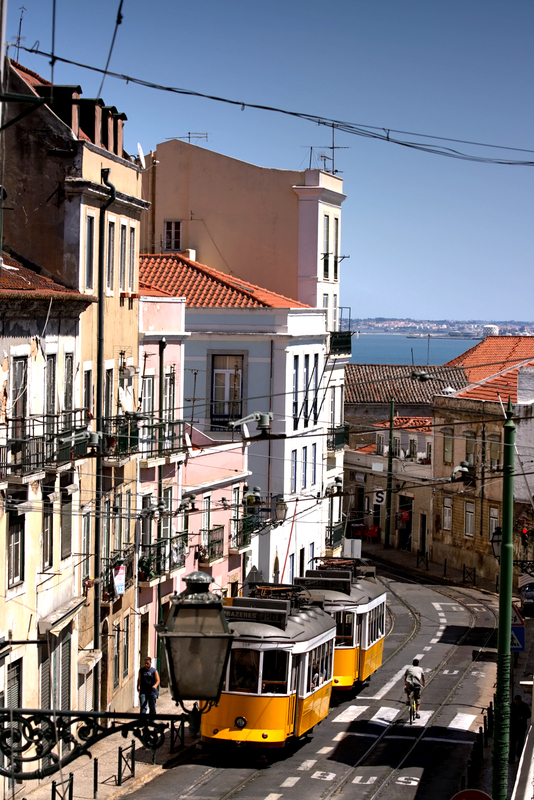 The best thing about it all is that riding the tram only requires a simple ticket for the Lisbon public transport, which makes the Tram 28 a true bargain. However, that naturally led to a popularity amongst tourists, resulting in very packed wagons at peak times. It is also crucial to be aware of the pickpockets that often steal from travellers. However, if you take one of the less popular routes at a less popular time (peak times are between 10am and 6pm) and have a good eye on your belongings, you will surely enjoy the ride! 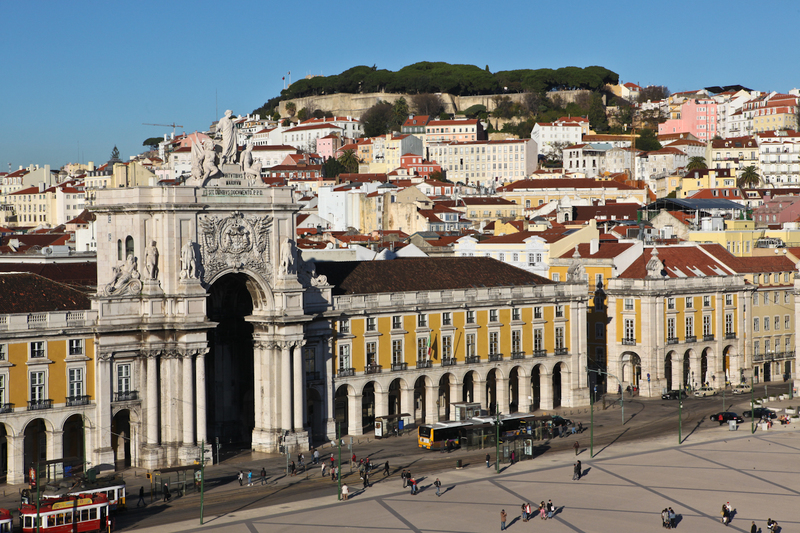 The Praça de Comércio is a nice change of scene after the coziness of Lisbon’s old districts. 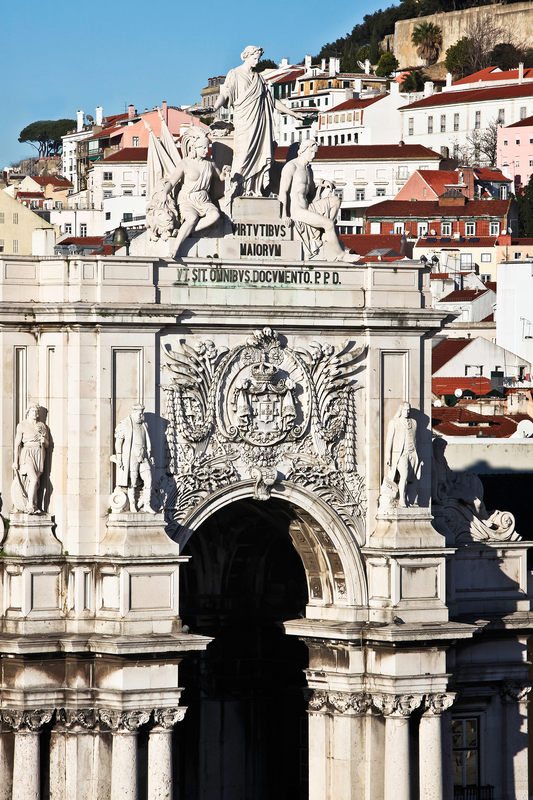 To get to the square, you need to pass an impressive triumphal arch and find yourself on a wide, open space with view on the Tejo and Lisbon’s harbour. 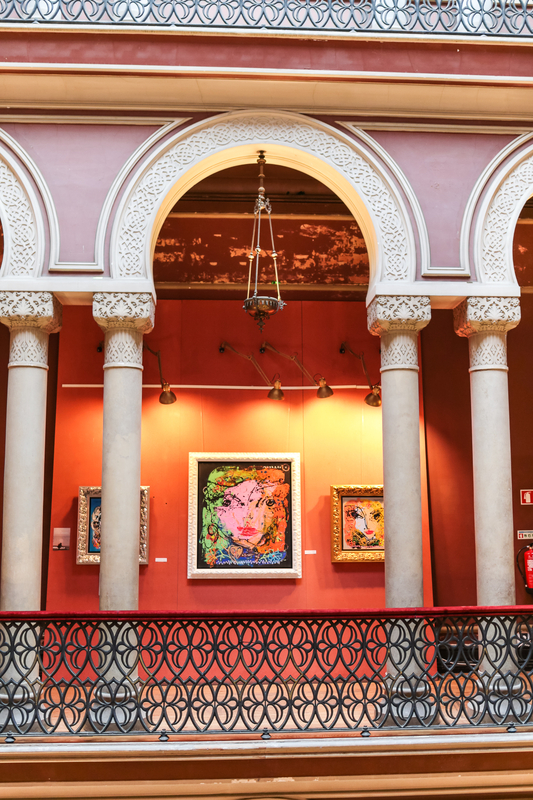 In earlier times, a castle was located where now beautiful restaurants and cafés sit on the outer edges of the Praça de Comércio and invite you to linger and enjoy the beautiful view. 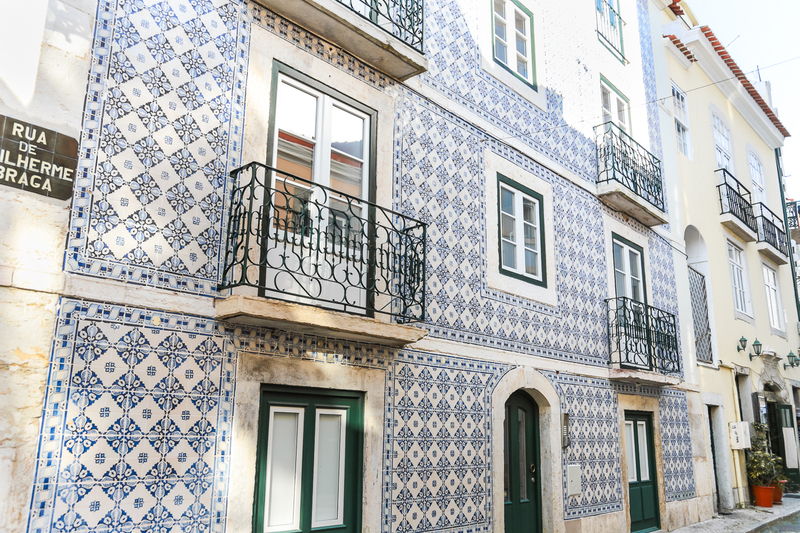 If you are into history, you’ll find Lisbon’s oldest café, the Martinho da Arcada. Especially the architecture fascinated me and honestly, I could have stayed forever! 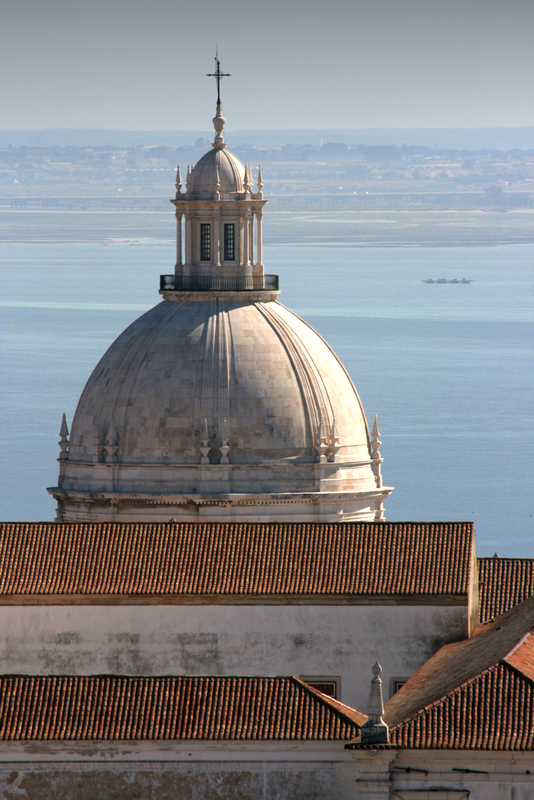 If you feel like discovering more of Lisbon’s architecture now, how about a visit to the Mosteiro dos Jerónimos? It is an old monastery and especially known for its extensive park and the impressive façade. It even got declared UNESCO World Heritage so it ticks all the sightseeing boxes! Lastly, I can recommend a walk through Lapa. 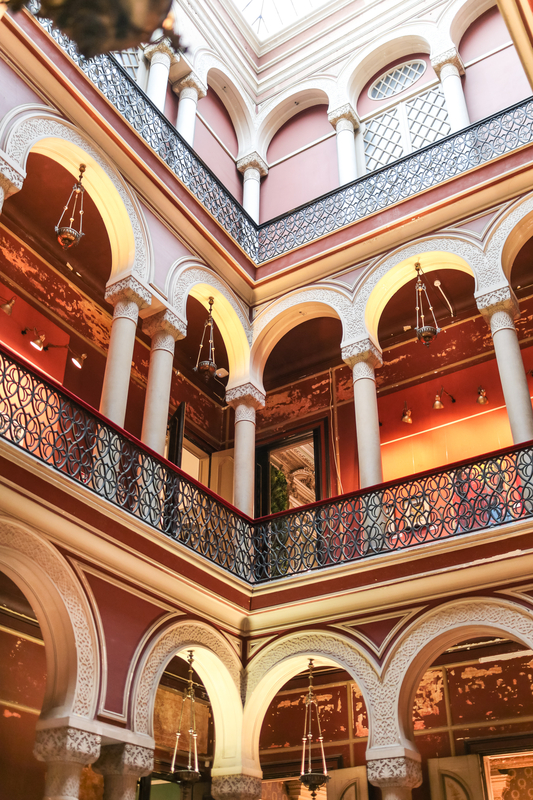 It hasn’t been discovered by many tourists yet but is beautiful through its many embassies, governmental buildings and mansions that significantly characterises the townscape. On holidays or not, I stay as keen on fashion as ever! Thus, I just had to take the chance to take a look around the shops. 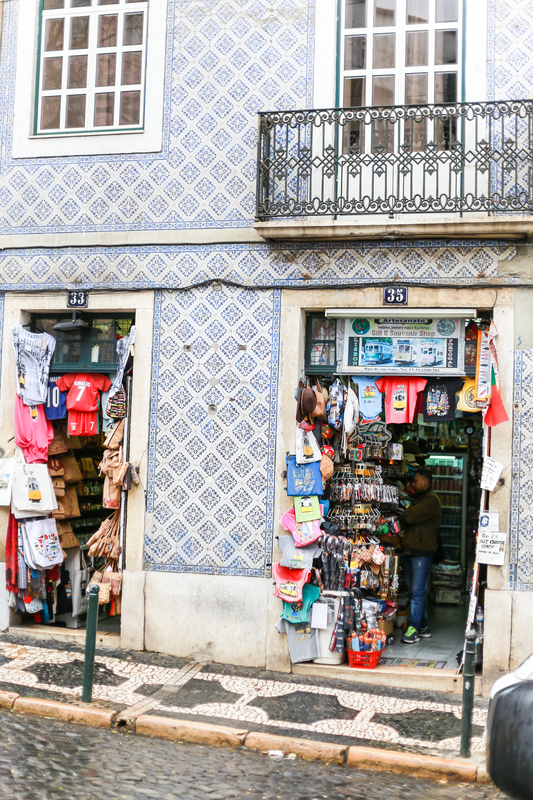 Lisbon is home to many independent stores that have been family-owned for generations and offer local products. 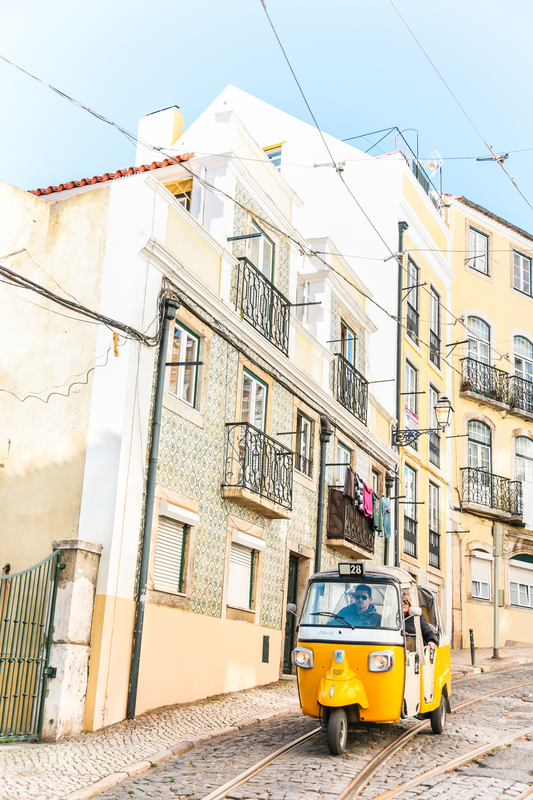 If you’re the person to stroll around the little streets of Lisbon and discover shops that are one of a kind, you are best advised to visit Bairro Alto. 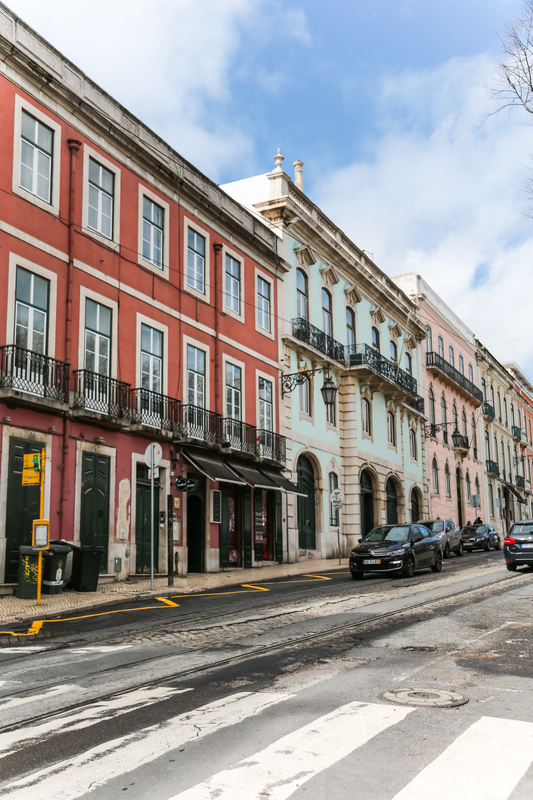 Many of the independent shops are open till the late hours and after you’ve finished shopping, Bairro Alto is one of the night life hot spots of Lisbon, perfect to have a drink or go clubbing. Want to feel like a true (shopping-) queen? Embaixada is the way to go! The shopping mall is an old castle that is now home to a carefully curated selection of shops. With its statues, high roofs and spacious stairways, I literally felt like a member of the Royal family that casually strolls around one of its countless townhouses. Ok, not really, but all jokes aside, you will be getting serious castle vibes while shopping from mainly local boutiques. My favourite store: P55, a second-hand shop that sells pre-loved art, furniture but also jewelry and fashion. 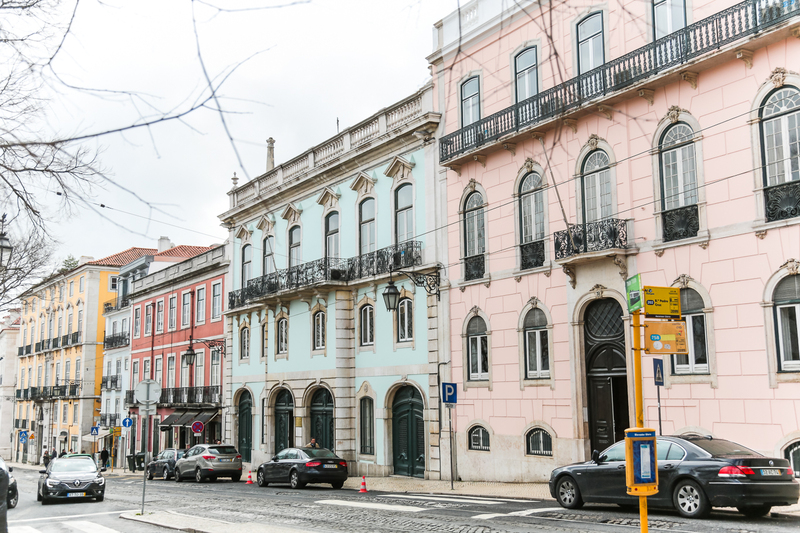 If you now want to dig into luxury shopping a bit further, definitely check out the Avenida da Liberdade. Its design has been inspired by the Champs-Elysees and not the many designer boutiques but also the whole avenue is super charming. With its countless trees, beautiful bridges and fences and a mosaicked pavement, it is the perfect spot for a day of shopping or just a little walk (with a bit of shopping, you know me). If you’re on the hunt for a bit of jewelry or love pastels just like I do, I urge you to take a look at the Ouriversaria Aliança. 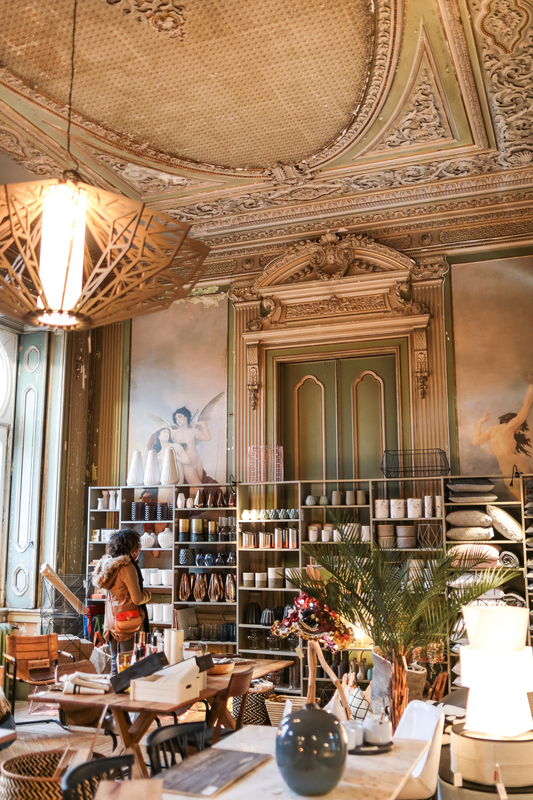 The shop has become a branch of jewelry brand TOUS, but its art-deco interior has remained intact- with chandeliers, golden stucco on the roofs and and decoration wherever possible. Therefore, if you want to feel like a guest in Louis XV.’s palace, this is where you should be headed. Whenever I travel, I find it especially exciting to discover the local restaurants and cafés. There is nothing better than sitting down in a nice restaurant after a long day of making new memories and bringing the day to a close. As you might know, I am a vegetarian. In Lisbon, that was no issue! I was surprised about how many Restaurants dedicated themselves to a vegetarian or even vegan diet and I had a lot of fun trying out a few. Restaurante PSI is the oldest vegetarian restaurant in Lisbon. It has been opened by a physician years ago, who bought an abandoned park and café and transformed it into the restaurant. You enter the café through the park and the interior is very colourful, boho inspired and super cosy. The actual highlight, however, is the food: The menu is inspired by food, techniques and flavours from all over the world so the choices are virtually endless and hard to make. The restaurant is especially nice for lunch because you can enjoy a meal while getting the view into the park. If you feel like experiencing a whole different kind of restaurant, The Food Temple is your way to go. Located in Mouraria, a beautiful district that is significantly less crowded, the restaurant nicely fits into the whole area. The restaurant can only fit 15 to 20 people and the kitchen is open and located in the main room which is why eating there feels like having dinner with a group of friends or family. The vegan menu is made from groceries that can be found on local food markets and, therefore, changes almost every day. After dinner, you should definitely take a seat on the stairs in front of the restaurant. Equipped with little tables, you can have a drink, enjoy the atmosphere and chat. The Food Temple really embraces the idea of communication and getting to know each other, even its business cards say “make friends here”. Dear Breakfast is the placed to be if you’re real breakfast fanatics! The dishes are made by Raquel Patronilho who used to work for Hotel Ritz, making Dear Breakfast’s menu as haute cuisine as breakfast can get. The Café’s interior is very minimalistic but still comfortable. 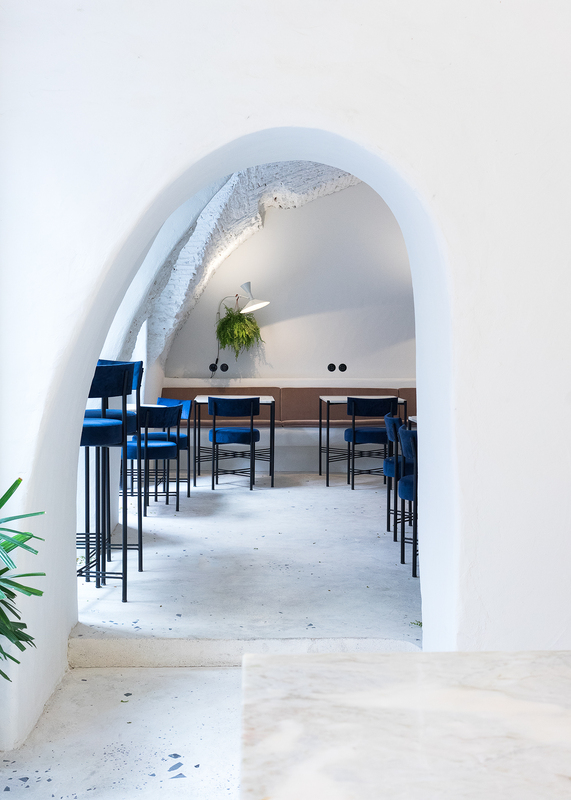 The clean and stylish atmosphere is complemented by the arches that have been formed out of the walls and create an almost ancient vibe that nicely contrasts with the rather Scandinavian, streamlined interior. Thus, next to offering an amazing breakfast, it is a real pleasure aesthetically and made for those who love to sleep in: Breakfast is offered all day as long as the café is opened. 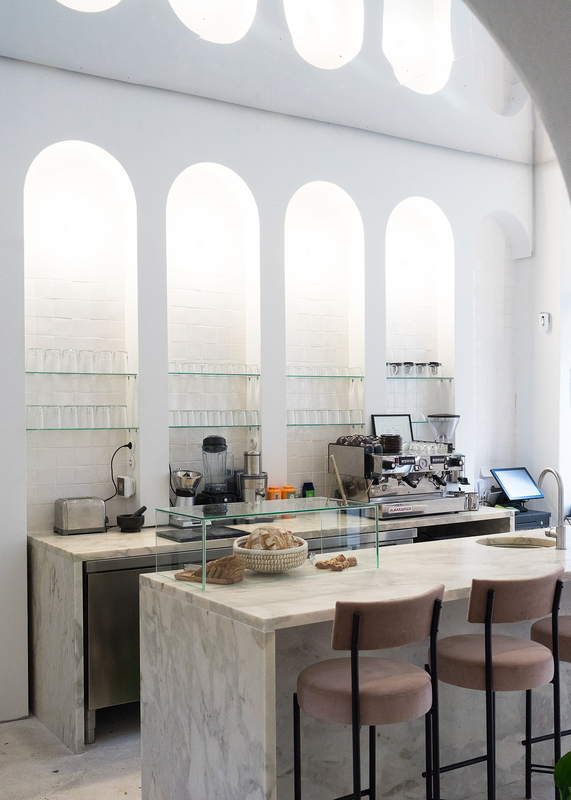 For all serious coffee lovers, the Fabrica Coffee Roasters is going to be your favourite. Not only is it located in the Rua das Flores, a beautiful road full of little shops and 18th Century houses, but also, they do not mess around with their coffee! The coffee beans are delivered directly from the coffee farms. Each bean is roasted differently to bring out the right taste for every kind of coffee. 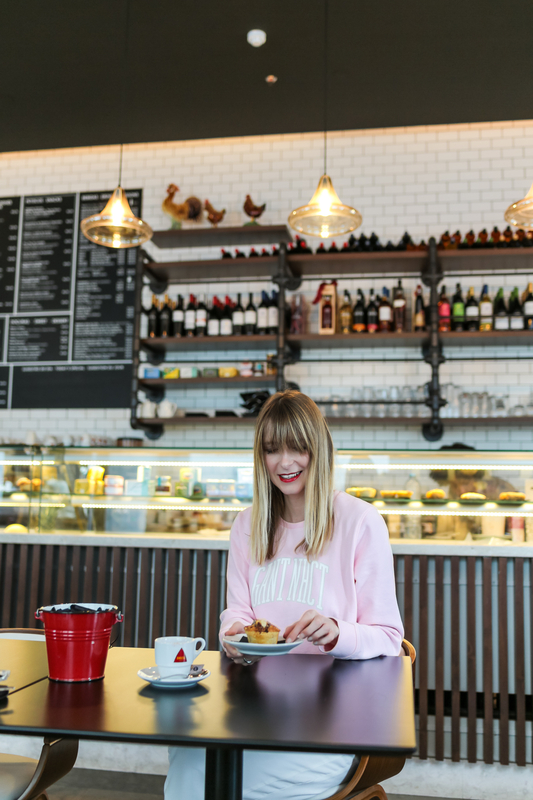 Light snacks such as pastries and sandwiches complete the offerings, making the Fabrica Coffee Roasters a great place to just soak in Lisbon’s atmosphere and relax for a bit. The Wish Slow Coffee House is a coffee shop x concept store and next to delicious snacks and beverages, they sell unique products from small, independent and local companies as well as own merchandising. You can really see the love, thought and passion for details that has been put into the design and decoration of the venue. I immediately felt welcomed and very at home. A fun, unexpected twist are the little sayings that are hand-written on every paper cup. The coffee shop is located in the area of the XL-Factory, an old industrial site that has been rediscovered and is now home to many restaurants, bars, ateliers and independent shops, so after your coffee break, there is a whole area full of exciting places and awaiting to be explored! So, on your way to the airport already? 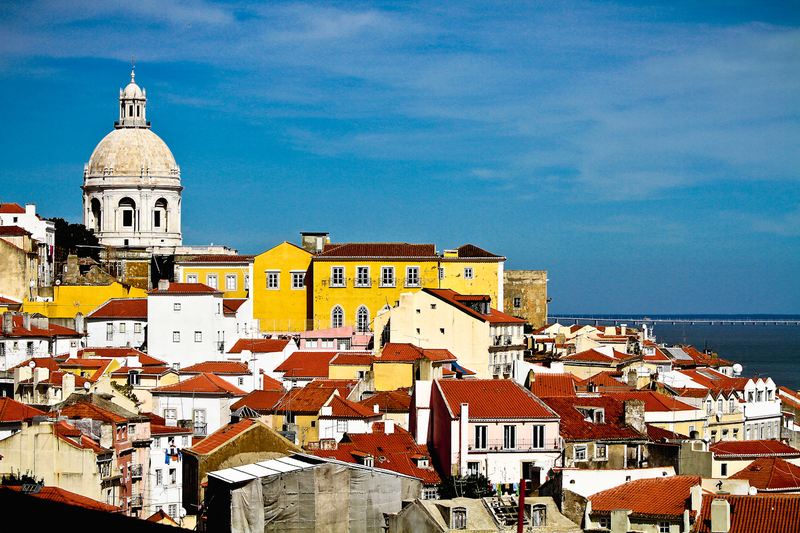 Or have you been to Lisbon and can tell me what I just don’t want to miss on my remaining stay? Es ist wirklich eine bezaubernde Stadt! Ich kann Lissabon nur empfehlen, warte am besten noch ein paar Wochen, dann ist es richtig schön im Frühling. 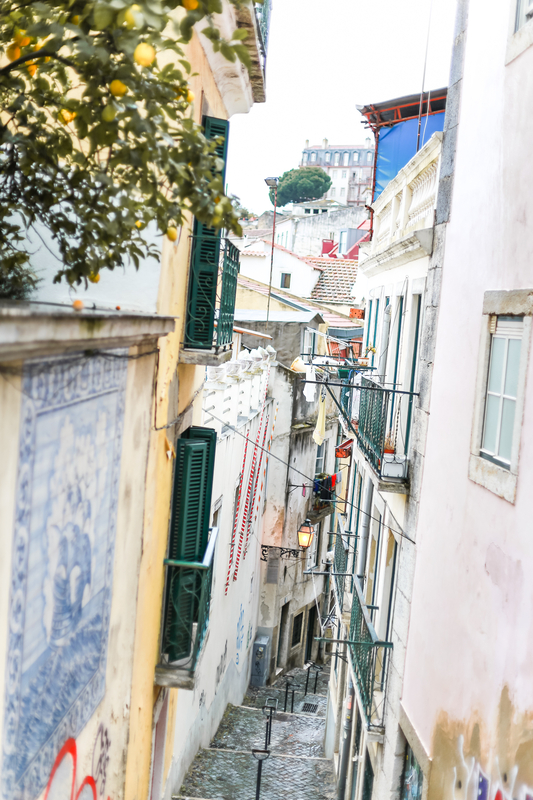 Lisbon is indeed a very nice city to visit … I’ve been there a couple of years ago but I still have a lot to discover there! It really is and you discover so many beautiful places, I just love it there! Ik heb genoten van je photo diary van Lissabon! Veel plekken waren echt en feest der herkenning! Wat een prachtige stad is Lissabon toch ♥ Dat roze straatje en Belèm hebben wij toen gemist, maar de meeste andere dingen hebben we destijds ook bezocht in Lissabon. Fijn dat je zo hebt genoten! Wel balen dat je een paar dagen ziek was. Inderdaad echt jammer als dat net op vakantie moet gebeuren. Werk ze vandaag! Thank you very much! 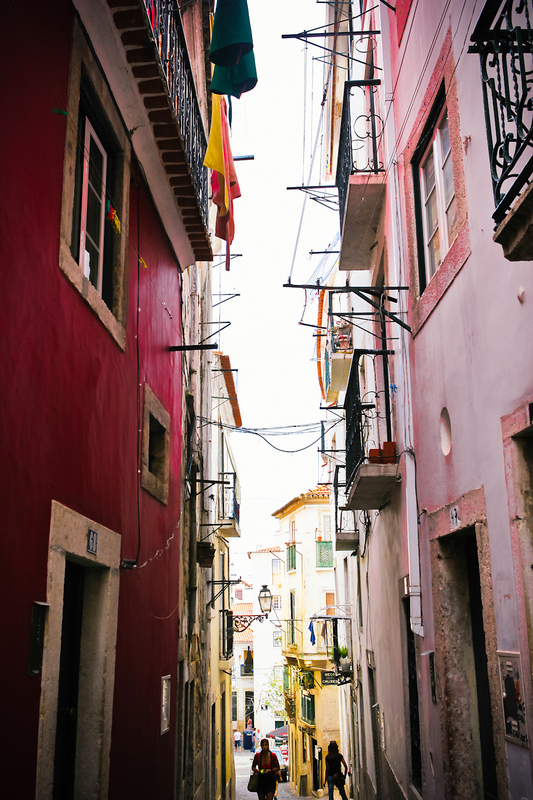 Lisbon is indeed a very special and beautiful city, there is so much to see and explore! Ik kan je een bezoek aan Lissabon én dit kasteel zeker aanraden Jessica! Het is er schitterend!